Leaders on the front lines have one of the most challenging positions in an organization. Combine this with the remote workforce of the homecare, home health and hospice industry, and this challenge intensifies! 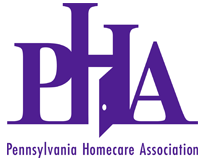 PHA’s Professional and Leadership Development Academy, specifically designed for emerging and potential leaders, frontline supervisors and mid-level managers, provides insight into personal behavioral tendencies and human interactions, giving participants a deeper understanding of themselves and how to lead others.